Last week a researcher from the Karen Human Rights Group witnessed villagers in the Palu area been used as forced labor by the Burma Army. The KHRG eye-witness account comes on the back of other reports of forced labor occurring in other areas of Karen State in recent months. In June as many as 400 villagers in Kyaukgyi Township were ordered to work building army camps in Eastern Pegu Division. The local villagers complain that the forced labor orders are a constant part of their daily lives and they have had enough. A villager interviewed by Karen News, pointed out that over hundreds of villagers from Wet La Daw, Pat Ta Lar, Aye Nae and Tha Lae have been ordered by Burma Army Light Infantry Battalion 345 to build their army camp. The villager said villagers have to supply their own tools when ordered to work building and clearing land. “They also have to bring their own food and work from morning to dark. Army officers also order them to look for and bring 2,000 empty sacks to fill to fortify their [defense] trenches. It has been reported that the International Labor Organization (ILO) office in Burma has seen a dramatic rise in complaints about forced labor in recent years. Local Karen villagers say the ILO complaint mechanism does not help them or other who live in remote areas and are unable to access the Rangoon based ILO office. Villagers told Karen News that they have tried to file complaints to local authorities abut forced labor but without success. 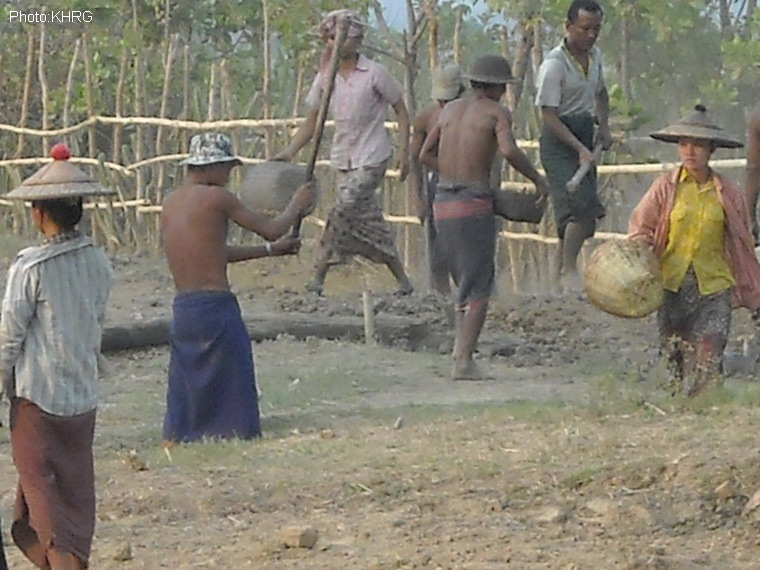 Villagers say having to work for the Burma Army leaves them with no time to work on their own farms. Padoh Nae Htoo Pyine, a local Karen National Union official told Karen News that villagers have reported repeated cases of forced labor to them. Villagers in this area are under the control of the Burma Army but Karen National Liberation Army from Brigade 3 send patrol into the area.